We aim to make the cost of Invisalign affordable for everyone. Drs. 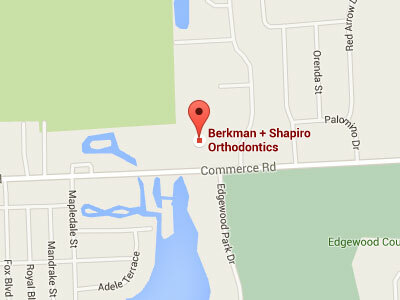 Berkman and Shapiro are committed to making a new smile affordable! In our office and for most cases, the cost of Invisalign is not much different than the cost of braces. Typically, the factors that determine the cost of Invisalign treatment include the degree of crowding or spacing, how long your treatment will last, and the types of things that you would like improved about your smile. At your initial visit, we will review with you exactly what we estimate your treatment will cost, and will discuss with you options to make it as affordable as possible. To schedule a complimentary consultation to determine if the cost of Invisalign is right for you, contact us today.